The final chapter of this book painted an albeit fuzzy picture of a socio-economy that is totally different from, and wholly incompatible with, the capitalist world of today. So, what first step can be taken to inject the intrinsic fairness of this new world into today's society? The best thing I can suggest is to create an economic entity called an Inheritance Bond. Each nation-State should list and quantify all the productive economic assets within its territory. That is, economic assets like land, minerals, industrial buildings, plant and infrastructure. It excludes dissipative (or non-productive) private property like houses and furniture. Divide the quantity of each asset by the national population giving a quantified list of productive assets per person. Confiscate all such assets from their current owners and deem each individual in the country to own a share of them as quantified on the above-mentioned list. Each citizen of the country (as a result of this they will become true citizens) must then be credited each year with the effective fair rent of the productive assets he owns. An Inheritance Bond is the document listing the types and quantities of this parcel of productive assets that belong to each individual citizen. The quantities and types of assets that make up the Inheritance Bond will naturally change annually. As a document, therefore, each person's Inheritance Bond must be dynamic. Under today's technology, it lends itself to being kept as a hypertext document containing a link to a single source in which the quantities are held and updated. Each citizen will thus have an income which, in the absence of being allowed direct use of the assets so listed, is deemed to be a partial compensation or recompense for that disallowment. This income of dignity is his by right of birth. It is not a benefit. It is not an act of benevolence bestowed upon him by a condescending patronising capitalist State. All large agricultural, mining, industrial and commercial enterprises must rent all the productive resources they use from the citizens of the country. This includes minerals. An enterprise may own the value that it adds to the materials it mines or forms into products: but it does not own the materials themselves. It must still pay its labourers a level of wage on which they can afford to live without having to spend all their prime time locked in productive toil. They have a need for, and a right to, time for themselves. This gives everybody a share in the productive resources of the planet that lie within the boundaries of their nation. Although each cannot as yet apply his own labour to his share of them directly to gain his needs of life, he does have an inalienable source of income from them. This guarantees his subsistence at a level determined directly by the yields of nature and of the economy as a whole. It cannot be relentlessly squeezed into all but non-existence by capitalist politicians eager to torture an unemployed minority to win votes from a greedy arrogant self-seeking deluded employed majority. Those who currently control society deny everybody else the direct use of his rightful share of the planetary resources for turning his labour into his needs of life. Those who currently control society are therefore, through the government they support, morally obliged to provide each individual with an opportunity to work, in return for a just wage, in a job that best suits his skills and aptitudes. In other words, since they have stolen from him his portion of the planetary inheritance, they are, at the very least, morally obliged to recompense him with guaranteed appropriate life-long employment. Of course, it is unlikely that those in control will recognise this moral obligation - at least, not in the beginning. Employment will therefore, for a long time, be a matter of good fortune. However, the wages, of one who has the good fortune to be employed, must be in addition to the basic income-by-right he receives from the rent on his share of the nation's terrestrial resources. On this rich planet, there is no excuse for a nation to subject any of its members to destitution or to ensnare them in the grid-lock of poverty. The Inheritance Bond guarantees that nobody can ever be subjected to such indignity by those who, in ignorance of their circum­stances, would presume to judge them by repeatedly voting into power govern­ments that despise and oppress them. In a world controlled by greed-driven capitalists, the only way a universal opport­unity for employment can be guaranteed is by militant labour unionisation. Unfortunately, the only kind of pressure that labour unions can bring to bear is indirect. By withholding labour and halting production, unions end up hurting the individual consumer and ruining the innocent small artisan long before their actions have any effect at all on their invincible corporate employers. A possible remedy is for consumers and artisans to protect themselves by forming themselves into tightly-bound communities that are large enough to stand against the might of the capitalist corporations. Without the Inheritance Bond, the capitalists would inevitably win any economic war of attrition. This is because it would be the capitalists - and they alone - who would own and control all the wealth-generating resources of the planet. The labourer, the artisan and the consumer would own and control none of them. The capitalists would therefore have the means of continually regenerating their needs of life while the labourer, the artisan and the consumer were 'running on batteries' and so would not be able to provide their needs of life once they had run out of what they had stored up before hand. With the Inheritance Bond, each individual is self-sufficient for survival while the great capitalist corporations could be starved out by the on-going rents they have to pay on the land they use and occupy and the materials they extract. Nevertheless, in the present world, capitalist corporations are still the only mech­anisms through which almost all food, clothing, shelter and other needs of life are produced and distributed. Consequently, until these mechanisms are downsized and proliferated into landshares, the capitalist elite can still hold the rest of humankind to ransom for profit. Thus sadly, in the world the way it is, the National Inheritance Bond is about as far as we can go. The global economy is so intertwined and interdependent that no one nation can unilaterally progress any further along the long road that leads from the jaws of capitalism to the lands of equity. To progress further, all nations would have to implement the Inheritance Bond for their respective citizens. 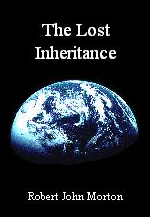 The next step would be for all the natural resources of the planet to be quantified and divided by the entire world population to create one single Universal Inheritance Bond that would be the same for every inhabitant of the planet. The next step after this is to dispossess the favoured few of their hold on this planet and distribute real land. But then comes the big problem. For a couple of centuries or so now, human beings have been forced, by the industrial division of labour, to become more and more specialised economically. As a result, almost every human being on Earth has lost the essential knowledge, inherited from the depths of history, on how to use directly the natural resources of the planet to gain his needs of life. Placed in this new world now, we would all starve. There has to be an intermediate stage between the Inheritance Bond and the landshare. I call it, for want of a better term, the virtual landshare. This, in essence is a software model of a generic landshare. It could run on a personal computer. It enables a family - even from the confines of their suburban house or city flat - to operate as if in Landshare World. To connect into the real and present world of capitalism, the virtual landshare has peripheral adapters. These are extra software modules surrounding the central model. They act as bridges between the model and the various elements of the present socio-economic environment. The virtual landshare would provide families with a means of regaining the 'lost knowledge' of the land, and present a constant and familiar user interface from the outside world as it transmuted from capitalism to universal egalitarianism. A prime example of this transmutation would be the change from the corporate-enforced life of the commuting employee to a free and unpressured option to work from home in a truly free market. To my mind, the Inheritance Bond is a fundamental human right. Without the economic empowerment it affords, the generic inhabitant of this planet is essent­ially powerless to exercise the human rights listed in the Universal Declaration of Human Rights of 1948. Consequently, in any fair society, it must be one of the most fundamental rights in a new and different Bill of Rights based on a family-centric view of the global socio-economy, providing protection from physical violation, psychological oppression, poverty, forced isolation, and all possible harm resulting from the actions of incompatible laws. The human life-form requires the unencumbered use of sufficient of the planet's natural resources to turn its labour into its needs. Every human being born should therefore have full possession of a fair portion of the planet's natural wealth-generating resources as a right of birth. The human life-form also requires access to society in order to fulfil its wider genetic, economic, social, educational and spiritual needs. It must therefore be given complete freedom to interact with others of its kind through an unrestrictive communications infrastructure, which would allow each individual to determine his own mix of socialisation and solitude. Human endeavour is driven by the complex dynamical forces of the planet's biosphere. This imparts a complex dynamical nature to society. Humanity is thus an ever-changing quilt of regularity and turbulence. Turbulence plants unique waymarks along the long open road of history. It writes for each a unique and inspiring melody upon the regular rhythm of life. It provides each with his own personal mix of socialisation and solitude. Each human being is, by nature, constrained to see things only from his own point of view. He is also, by nature, driven by an unrestrained lust and compulsion to acquire without limit. These two factors combine to entrap him in a vicious cycle of blind striving for unrestricted self-gain. Different human beings are, by nature, endowed with different abilities in different proportions. This gives some individuals an advantage over others in the realm of human interaction. This, together with the lust for unlimited self-gain, results in an unacceptably disparate society. Human interaction is governed by laws of cause and effect which, due to the individual self-interest of human nature, are not convergent. They form an intrinsically unstable system. The complex dynamical nature of human society is thereby destined eventually to destroy it. The laws of human interaction must be made to converge. They must form a benign self-sustaining system. This can be achieved only by upgrading the human mind to seek the interest of neighbour equally with that of self. This is not humanly possible. It is only possible at present to create a pseudo-equitable society by setting up a social infrastructure to teach and enforce a fair and equitable code of law. The human mind must undergo a quantum leap in its spiritual evolution. Only then can the meek inherit the earth.